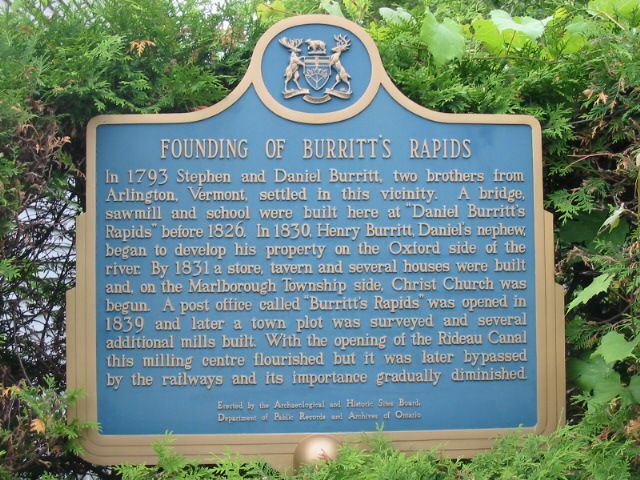 In 1793 Stephen and Daniel Burritt, two brothers from Arlington, Vermont, settled in this vicinity. 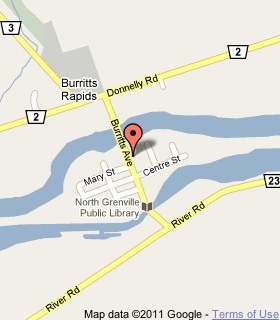 A bridge, sawmill and school were built here at "Daniel Burritt's Rapids" before 1826. In 1830, Henry Burritt, Daniel's nephew, began to develop his property on the Oxford side of the river. 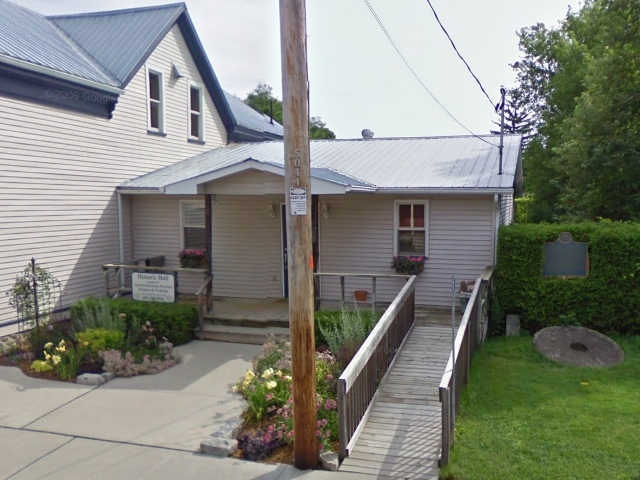 By 1831 a store, tavern and several houses were built and, on the Marlborough Township side, Christ Church was begun. A post office called "Burritt's Rapids" was opened in 1839 and later a town plot was surveyed and several additional mills built. With the opening of the Rideau Canal this milling centre flourished but it was later bypassed by the railways and its importance gradually diminished.